Summer is the season for stocking up on fresh fruits and veggies -- and we’re not just talking about for snacking or in your smoothies! Fruity fresh ingredients are popping up in our fave beauty products too. Our fashion and beauty expert from NYCpretty.com has some favorites! 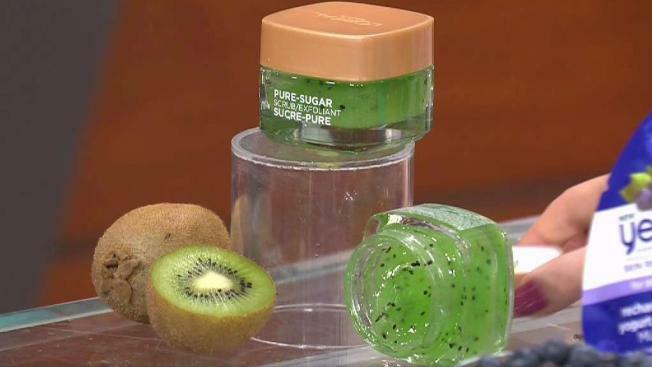 A face scrub with kiwi seeds that can unclog pores for less than $10. How about a 3-in-1 mask, scrub and cleanser made with blueberries for under $11. Or maybe a blueberry mud mask, also less than $11. Prefer bananas? Try this vegan body butter from the Body Shop for $19.99. This pink grapefruit acne treatment will cleanse your skin for about 25 bucks. Give this avocado hair treatment a try for just $15.99. It's papaya, but for your lashes, only $18.99.